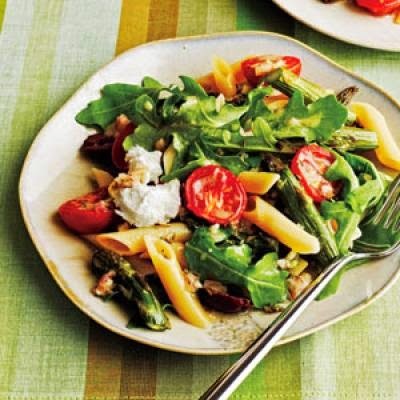 Make an upscale pasta salad that's company worthy by combining penne pasta, roasted asparagus, tomato, arugula, herbes de Provence and goat cheese and tossing with a lemony vinaigrette. Serve immediately or cover and chill for 2 hours for a cold pasta salad. For the complete recipe, click on the photo above. For more spring recipes, visit www.cookinglight.com.